Providing the Hudson Valley area with professional, fast and eco-friendly junk removal services. A customer to your business expects certain things in exchange for their patronage. They want you to be open when you say you’re open and provide whatever goods or services you promise to provide. That holds true to a shoe store or a bistro. Customers also want a friendly and inviting atmosphere in order for them to enjoy the experience at your business. They certainly don’t want to be confronted with a lot of clutter. 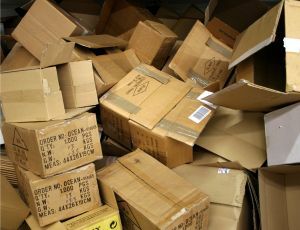 This is why you may want to set up a regular rubbish removal session with Junk King Hudson Valley. There’s a lot you have to do to keep your business successful. Beyond all the operational components, there is the customer service and marketing. The last thing you want to be focused on is getting rid of boxes, furniture, equipment and all the other stuff that piles up every week. Knowing that Junk King is going to show up at a particular day is a great stress reducer because you know they can take away just about anything. Junk King always provides at least two crewmembers to take care of the removal of your items. If it turns out that what you’re getting rid of requires more help, then junk King will happily provide that at no extra cost. It’s not often you hear that phrase when it comes to providing a service but that’s exactly how Junk King operates. Their fees always based on volume and not weight or manpower hours. The crew determines the volume once they’ve had a chance to size up all the things you want to get rid of. These teams have a lot of experience packing up the truck with all kinds of bulky items. Don’t know from a glance whether or not your stuff will fill half, quarter or one third of the truck. Once they provide you with the estimate, it’s not going to change. You can count on that. You can also count on Junk King disposing of your collected clutter in a very eco-friendly manner. That just makes good business sense. Whether you opt for once a week, biweekly or monthly pickup, you’ll know that with Junk King Hudson Valley on the job your business will remain clutter free. This entry was posted in Hudson Valley Junk Removal and tagged business, clutter, Junk King, rubbish on October 22, 2017 by Junk King. Last updated October 22, 2017 .